Are you struggling to gain more reach in your market? Do you find yourself constantly creating or paying outsourcers to write more articles or more blog posts or even videos and Kindle books? How’s your online presence? Are you everywhere like you should be? - Social Media, YouTube, Kindle, Internet Radio and Podcasts? And of course, Google Hangouts? If you are familiar with internet marketing, you know that to market ANYTHING online, you always need fresh, unique and quality content.....and you need to be EVERYWHERE to really get in front of your market and where they are “hanging out” online. The problem is the content....you can only do so much! One of the best ways to get found by targeted buyers is to have your content in a wide variety of places on the web. The more content and links you have “out there,” the more traffic and clicks you will get to whatever you are marketing. It makes perfect sense, since buyers are everywhere! Our names are Amy Harrop and Deborah Drum, and we have been spending the last year and a half growing and building our business by strategically and steadily placing our content in strategic virtual real estate around the web to get found by people who are interested in the niches we sell in. Guess What? The Most Successful Marketers Are Using These Strategies Too!! Do you recognize any of these people? I am sure you do. They are each making a full time income online (and then some) and it is definitely not a fluke! Each marketer above has mastered the method of repurposing content. They know that utilization and capitalizing on work they’ve done JUST ONCE AND ONLY ONCE can continue to work over and over for them to profit continuously. There is actually a systematic way that you can use the same content that you created JUST ONCE and turn it into 21 PLUS different forms of content that work for you day and night and make you money and give you the endless traffic that you need to make a living online! What Do All Of These Experts Have In Common? They are all masters at turning out content. They’ve ‘figured it out’ when it comes to producing something new out of something existing or old!! Sound crazy? It is not and it is very possible! We have brought these experts in at an amazing offer for you. Maximizing One Piece Of Content To The Fullest Extent! First off, this is NOT an interview product!! It is much more powerful and completely different!! We’ve put together over 20 ways to repurpose content from ultimate Expert Marketers who are all making a full-time living online. 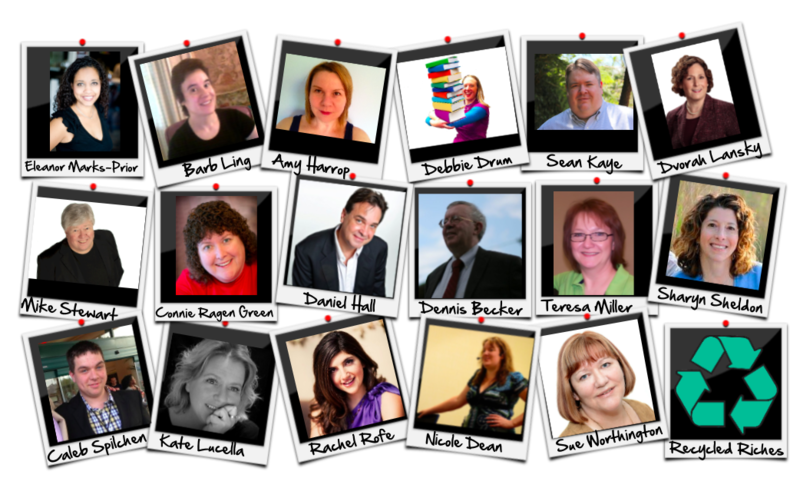 These experts will be unleashing their best strategies of repurposing content. Taking one piece of content and having it work for you over and over again. One thing every marketer needs is good content. But it’s much easier when you take work you’ve done once to make it work for you over and over. It’s also much better for your business if you don’t spend an arm and a leg for the content to build your business. We’ve asked our expert contributors to contribute content in any way they wished. Some contributed by written word (pdf), some contributed by video, and some audio. They are all downloadable for your viewing pleasure! We also include an overview of each contribution so that you can refer back to it for quick access and a quick reminder whenever you need it! To sweeten the pot - if you take action and purchase TODAY on this insane deal....then you will get a bonus of 6 more experts leaving you with 21 Different Ways To Repurpose Your Content! Can you imagine being able to turn out more content, but do less work and get more exposure (which could lead to awesome things)!?!? You will get to do that and more! You see, quality content can and should be used over and over again. Think about it - you’ve either spent money or time creating the quality content - so if you are only using that content one time, then you are leaving a lot of money on the table (not to mention the more money you will spend later on creating more content....). Your content is an important part of your business..but the fact is, the majority of people aren’t leveraging their content to build their brand or increase their audience. We are not talking about using the exact same content everywhere - because that would be called duplicate content and nobody (especially Mr. Google) approves of that anymore! We are talking about repurposing content that you already have and magically turning that content into brand new content to market and sell in different ways around the web. Repurposing content is definitely a skill that can be learned and duplicated and that is why we created Recycled Riches. 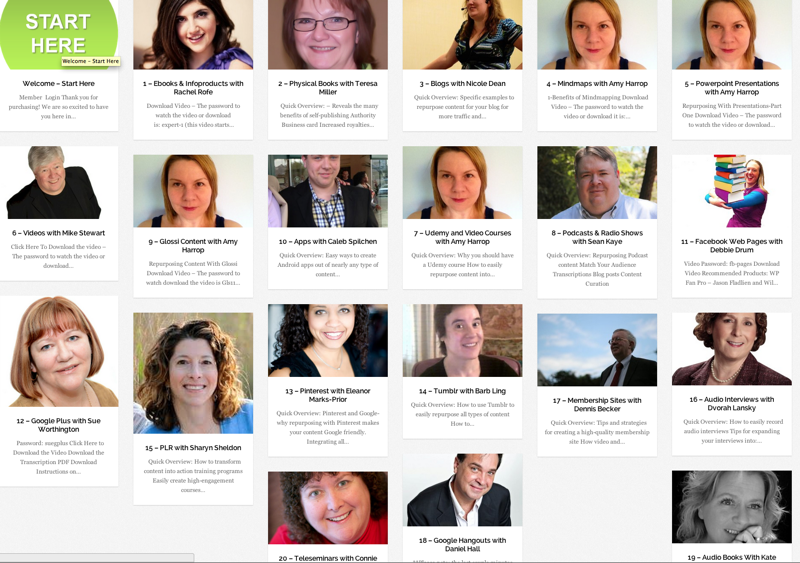 We got together a few of the most successful content marketers in one place and they each show their best method for how they repurpose content which leads them to a very successful full time income online. We are extremely impressed with each contribution and it is laid out so that it is easy to understand and more importantly, take action on immediately. We have chosen 21 PLUS different strategies you can put into practice immediately to repurpose content that you already have. For instance, if you have ONE ebook, you can turn that ONE ebook into 21 different streams of content bringing you traffic, growing your subscriber list and making you money! Amy and Deb are successfully using this strategy but we got to this point by getting advice from experts that are also successfully using these strategies to make tons of money online.....and we want to share that with you!! 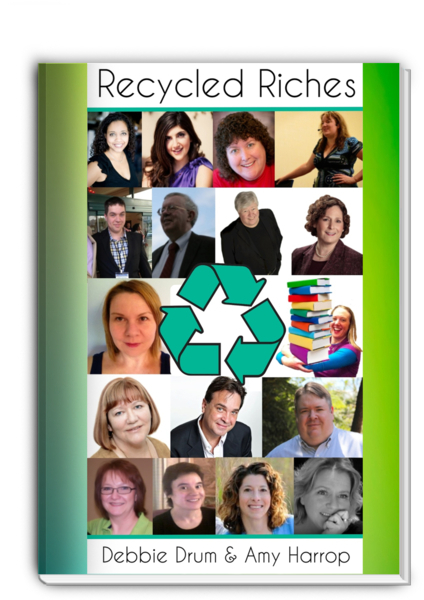 Inside Recycled Riches, these true marketing experts, shown above, reveal their top ways to repurpose content and make it work for them, over and over again. Content is the most valuable online currency, and we show you how to multiply yours over and over again! P.S - Each one of these trainings has at least a $27+ value to them!! We are really impressed with the content the experts provided! At This Low Starting Price! We are running a special offer for Action Takers who want to get in right away. PS - This is an incredible deal!! These are the exact strategies that you should be implementing in your business to gain the most exposure which leads to more profits! PPS - We want to say a HUGE thank you for all of our contributors! Without your wonderful and amazing contribution, this would be just another product - but it is so much more than that! We truly appreciate you!